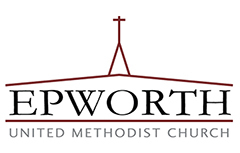 Epworth United Methodist Church declares itself a Reconciling Congregation, seeking to welcome all persons, regardless of age, race, ethnicities, disabilities, gender, gender identity or sexual orientation, into the discipleship of Christian living and proclaim our commitment to seek the reconciliation of all persons to God and to each other through Jesus Christ. The first worship service for Epworth Church was on February 3, 1952, at the Hope Valley High School. The Rev. Carl Newton was the Pastor. The congregation continued to meet at the school until it moved into the first building on May 22, 1955. Mr. Newton had been followed by The Rev. Henry Pollock and The Rev. Frank Grice. The congregation really began to grow and take shape when The Rev. Dan Sharpe became the Pastor in 1953. The church was chartered in 1955 with 77 members. A classroom addition was completed and opened on November 23, 1961. The Rev. Kelly Wilson, Jr. supervised the construction of this building, but The Rev. Johnnie Joyce was appointed Pastor before the building was completed. Mr. Joyce was followed by The Rev. Russell Harrison and The Rev. C. Alison Simonton. The Sanctuary was constructed during Mr. Simonton’s pastorate. The first service in the Sanctuary was held on July 23, 1972, and it was consecrated on September 10, 1972, by Bishop Robert M. Blackburn. The Rev. Troy Barrett and The Rev. William Sabiston, III followed Mr. Simonton. The Fellowship Hall and additional classrooms were built while Dr. Brian Gentle was Pastor. This facility was first used on November 8, 1987. The indebtedness on this building was completed in 2001 during the ministry of The Rev. Ben C. Rouse, who followed The Rev. Charles Morrison as Pastor.